Is it in my generation that the famous June 12 (the Igbo land remembers is as Oso Abiola) is going to be changed to The Democracy Day? On what grounds? I think Mr. President's desperation to win 2019 reelection can be seen from a mile away. He wants the support of the West by all means. President Muhammadu Buhari on Wednesday 6th June 2018 directed that the nation’s Democracy Day will, henceforth, hold on June 12 of every year as against the current arrangement where the ceremony holds on May 29. Buhari also resolved to honour the winner of the annulled June 12, 1993 presidential election, Chief Moshood Abiola, with the highest national honour, the Grand Commander of the Federal Republic. The President disclosed these in a statement he personally signed and made available to journalists. He said he reached the decisions after due consultations. “For the past 18 years, Nigerians have been celebrating May 29, as Democracy Day. That was the date when, for the second time in our history, an elected civilian administration took over from a military government. The first time this happened was on October 21, 1979. The late Abiola died in detention while struggling to actualise his mandate as contained in the annulled election. The Yoruba socio-cultural group, Afenifere, hailed the declaration of June 12 as a national Democracy Day, noting that this was what it had been clamouring for over the years. The group urged the Federal Government to go a step further by recognising the late Abiola as a former elected President of Nigeria. Afenifere’s spokesperson, Yinka Odumakin, stated that the government should demonstrate that its decision was not a political gimmick by ensuring that “the spirit of June 12 prevails” in the forthcoming elections. “Though the GCON is the highest honour in the land, we want Abiola to be formally recognised as a former elected President of Nigeria. The Peoples Democratic Party, however, said the national honour to be conferred on Abiola by Buhari smacked of hypocrisy and political desperation ahead of the 2019 presidential election. PDP said that President Buhari’s action merely sought to use the name and person of Abiola to gain a political capital and was not out of genuine reverence and recognition for him. In a statement issued in Abuja on Wednesday and signed by its National Publicity Secretary, Mr. Kola Ologbondiyan, the party recalled that President Buhari, who was serving in the military administration of General Sani Abacha during the travails of Abiola, did not associate either by words or actions with the late winner of June 12 election. Ologbondiyan further stated that history did not record President Buhari as sympathetic to the Abiola’s family when his wife, Kudirat, was gruesomely murdered by the agents of a government which President Buhari served. “It is, therefore, a sign of political desperation for President Buhari to seek to use Chief Abiola’s name as a tool to sway Nigerians in less than 12 months to an election where he (President Buhari) is seeking a second term. 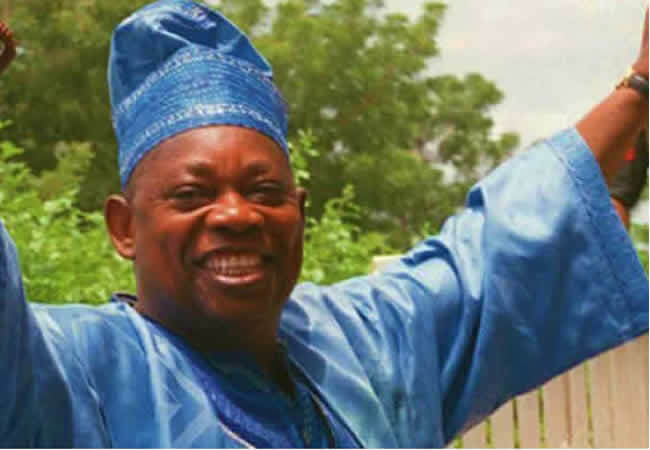 “It is also shocking that the respectable grave of Abiola can be dishonoured by granting a posthumous award on him along with someone who denounced the June 12 mandate and preferred the company of his (Abiola’s) traducers. “Even those who now masquerade as change agents were opposed to the naming of the University of Lagos after Chief Abiola.